"Pro mounting a Nascar body" Download's in one low priced package! 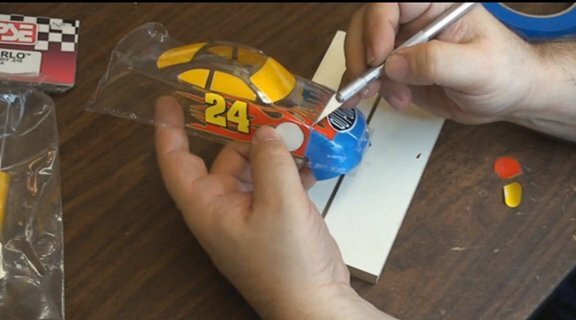 Mick Antonelli of Slot Car City has over 17 years experience in slot car racing and will show you how it's done in this in depth 1 hour long on how to custom paint a Nascar body. He will take you from the ground up showing every aspect of custom making a Nascar body. Also included is a in depth 30 min long on how to mount a Nascar body to the toughest chassis to mount a body to which is the JK Cheetah 11 chassis. You will be show how to cut, mount, tape and bullet proof your Nascar body to be race ready! Also covered is how to make a 3D Nascar interior and properly mount it.